Available in different hues for any season of the year. 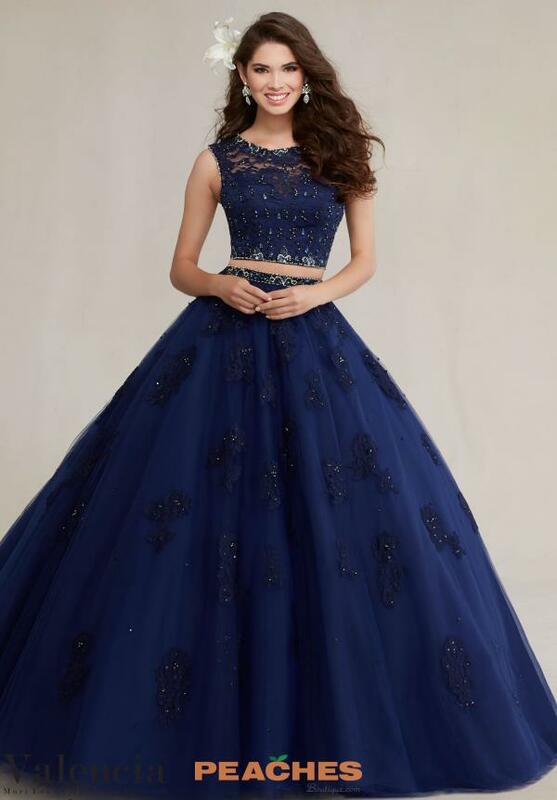 Gorgeous two piece ball gown dress 89088 from Valencia features a lace crop top and a line skirt. Get noticed when you walk in at the reception, ideal for prom and engagement. Get the wow effect with high waisted full skirt with lace appliques adding a feminine touch. Also including a matching Stole for modesty. Look for more Vizcaya dresses at Peaches Boutique.